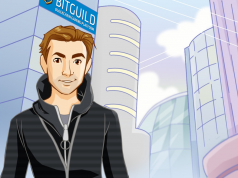 Hello Jason, can you give us a brief introduction of yourself and let us know your role in Community Node? I am Jason Neely, founder of the Community Node organization. I have more than 20 years of IT experience which began with a Cisco certification. 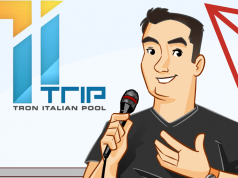 Although I’m relatively new to crypto, I have focused nearly all of my attention on the Tron project and I have gained an extensive knowledge of their blockchain application. My initial role will be Chief Technical Officer, but I will gradually transition to CEO as the team takes over some of those responsibilities. Can you tell the audience a little about Community Node? In addition to myself, we have colradi, Duane, and Greg, who come from Spain, Hong Kong, and the United States. Colradi is a former Java teacher and he is creating a demonstration application for the community to use as a template for their first dapp. They will then be able to upload their dapp to our testing network to see how it functions, before official production deployment to the Tron main net. Duane is our graphics and UX guy. So far he’s made our awesome logo and he’s hard at work designing our new website. Greg brings a wealth of IT experience from his job as a SysAdmin for a major aerospace manufacturer. We also have a few more team members who prefer to remain in the shadows for the time being. 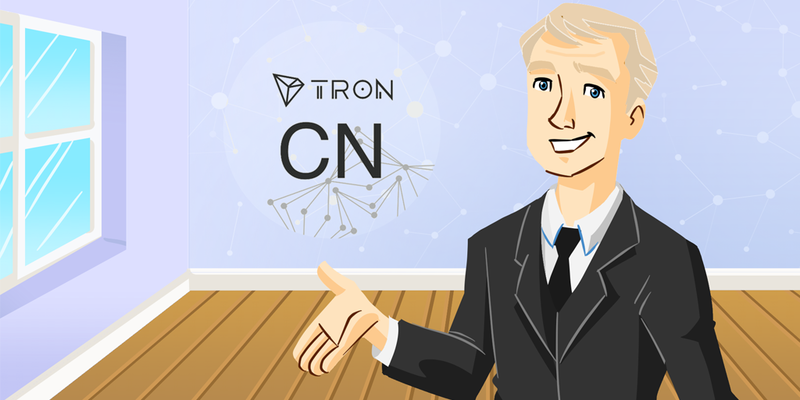 Why did Community Node decide to join TRON SR? When Tron Labs announced the Super Representative program, I was immediately intrigued and began running a Witness Node. It wasn’t long before I learned that a proper Super Representative was a group of people who could support the Tronics community. To my surprise, people were eager to join my team and help build the Community Node organization. Our impetus is to assist those who want to become Super Representatives, too. The first document that I shared was a “Witness Node for Newbies” how to, and since then we have expanded our program to include a telegram help group, as well as a mentoring program for aspiring Super Representatives. The Tron Network will need at least 127 Super Representative candidates to function properly, and those newly minted Super Representatives should get some kind of training and supervision before entering the elections. Some may think this is counter productive to our success, but that’s not how we see it. Our goal is to become an invaluable resource to the community, and to provide a blueprint not only for other Tron SR’s, but for other blockchain endeavors which use a similar DPoS system to what Tron has. Idealists at heart, each of us is enthralled with the idea of economic justice and the decentralization of wealth and power. Will Community Node be doing more promotion to increase its awareness? If so, what kind of activities can we expect. Our promotion efforts currently include a contest for the best distributed game application, and the creation of a testnet which can be used to test the functionality of these dapps and to practice uploading them to the main net. Of course, we believe the heart of our promotion efforts will be our Rewards Program. In creating our rewards program we tried to solve a few problems, namely, how can a rewards sharing program be used to strengthen the blockchain rather than weaken it? And how can we reward loyalty when other SR’s offer a larger payout? We know that Community Node is being extremely cautious when it comes to rewards plan. Can you let the the audience know what kind of thinking have you gone through? Can you briefly describe how your rewards plan work? Our rewards plan is built around depositing 80% of our earned rewards into a Payout Account. We will issue 2% of the payout account via a Daily Payout to our voters. Once the Payout Account has a 50 day balance (approximately 4 million TRX) the amount deposited each day will be equal to the amount paid in voter rewards each day. In the beginning we will remain competitive by issuing 50% of the deposited amount as the Daily Payout, so when the Account is half full the 2% payout will be larger and will be the new payout percentage. In doing this we will have created a stable daily voter rewards payout regardless of whether we win the daily election or not. The stability of the daily payout is the key to our plan. We believe that by issuing a consistent and predictable payout we will be able to compete with traditional investments despite the risk of a fluctuating TRX price. Our goal is to attract new investment in the TRX coin, and even increase the market cap of the entire cryptocurrency sector. We have seen Community Node drafted up a detailed formula to estimate the rewards voters may get. In layman’s term, can you give an example and let the community know roughly how much % will they get back? Our plan also rewards voter loyalty, with a formula that gives a small increase in a voter’s payout based on the number of days they have voted for Community Node and the lifetime total of votes cast. For example, someone who has voted for us every day for a year could receive as much as 40% more than a new voter. A similar boost begins after having cast 10 million votes for Community Node. But our loyalty bonus must come with a reduction of the payout for new voters. If we find that the loyalty bonus is so generous that it comes at the expense of new voters to the degree where we begin to lose elections, we will adjust the formula to find the sweet spot. What will Community Node do in the near future if you are selected as SR? Upon election to Super Representative, Community Node will embark on a large scale deployment automation process using puppet and kubernetes. In the future we envision our organization quickly creating temporary node clusters on demand in geographic hot spots where large scale gatherings are occurring. In general, let us know why people should support Community Node? Our commitment to the Tron network is long term. We understand this program isn’t merely a way for us to generate personal income; the most generous rewards program must also be sustainable. In addition to providing the resources that will run the Tron network on day one, we have a responsibility to the long term growth of said network. Our expansion plan will add another cluster of nodes for every .04¢ cent rise in the value of TRX, and by the time TRX is at .50¢ we should have the largest deployment footprint of any Super Representative organization. Before we end the interview, is there anything you want to share the audience? When the current TronSR program ends in 2021, we will invest the 4 Million TRX accrued in our payout fund in enterprise servers to position us for the next phase of the Tron development timeline. 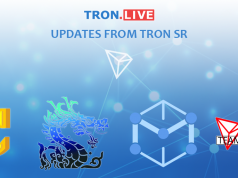 Tron.Live is the first Tron community site that aims to unite all Tron supporters together. We planned to build a powerful community of Tron supporters from all around the world, so we can share the latest news, updates, and witness the growth of Tron. © TronLive - © 2018 All Rights Reserved.